(HealthDay)—When someone goes into cardiac arrest, quick action from bystanders can have a long-lasting impact, researchers say. That means performing chest compressions or, if possible, using an automated external defibrillator (AED)—a layperson-friendly device that can "shock" a stopped heart back into rhythm. "I think the bottom line is clear," Goldberger said. "We all should be ready to recognize and respond to cardiac arrest. We can all play a role in helping to save someone's life—and, this shows, improve their long-term outcomes, too." In 2016, the group says, only 12 percent of those who suffered cardiac arrest survived—though that actually marks progress over previous rates. 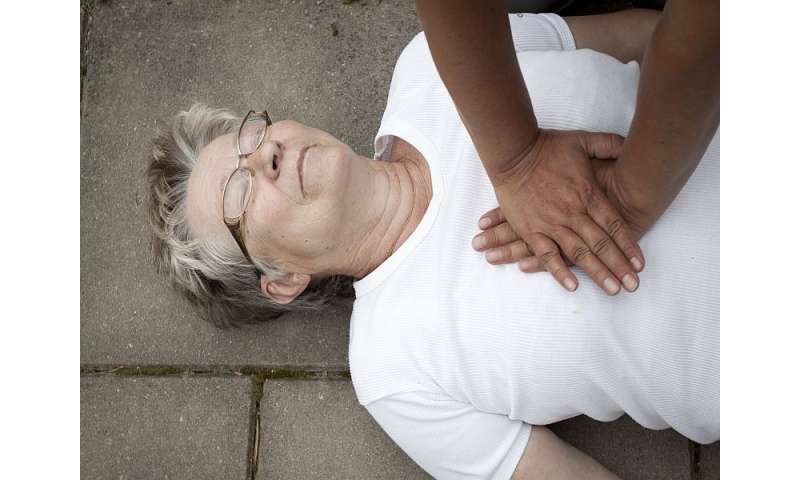 Cardiac arrest occurs when the heart suddenly stops beating and cannot pump blood and oxygen to the body. If a bystander performs cardiopulmonary resuscitation (CPR), that keeps the victim's blood circulating—buying time until paramedics arrive. It is not a heart attack, which is caused by a blockage that stops blood flow to the heart. Most had received chest compressions from a bystander—and the likelihood of that happening improved over time. Among people who'd suffered cardiac arrest in 2001, two-thirds had received CPR; by 2012, almost 81 percent had, the findings showed. For now, he and Kurz both recommended that people learn about basic CPR—by taking a class in their community, for example.